What if life was the school to Heaven? 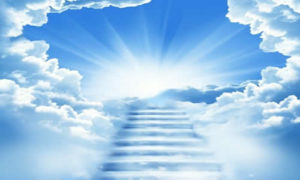 Think about it, heaven is a place of wonder, happiness, excitement, joy, love, fulfillment and satisfaction. Aren’t these what we strive for all our lives? Doesn’t that make sense? Maybe we are put on earth in order to understand these feelings and when we do, we want them more and more, all these good feelings are what we chase our whole lives and we even learn to control them sometimes finding them within us.